Minimally invasive procedure to treat various injuries and medical conditions. Can be used for weight loss and body sculpting to reduce and contour specific undesired fat pockets. Who would be the ideal patient for mesotherapy treatment? Mesotherapy is a great treatment for people of all ages as it can give your skin a healthy boost in looking rejuvenated. A series of treatments are required to achieve optimal effects. What are the possible treatment areas for mesotherapy? All areas of the body including the face, neck, chest, hands, abdomen. MesoCellulite: form of Mesotherapy that helps to reduce cellulite by helping to increase circulation. The minerals in the MesoCellulite treatment breakdown the walls of fat cells which release the stored-up fat into the body, where it is then reduced, and proper circulation in that area returns. Providing patients maintain a proper diet and fitness regimen. MesoSculpt: similar to MesoCellulite, focuses on localized regions of fat that build up on areas such as arms, hips, abdomen, thighs, neck or chin. MesoSculpt is used to reduce the fat pads under the eyes that cause older eyes to look “baggy”. It may also be used to reduce the fat under the chin and around the cheeks, giving a leaner, younger look to the face and neck. For spot weight reduction in the waist it may be used to reduce the abdominal, hips and buttocks fat deposits. MesoGlow: Our face is one of the few regions on our body in which patients desire a plump, full appearance, as it equates to youth and vitality. Unfortunately, as we age we lose volume in our face, a process which is accelerated by sun exposure. Though Mesotherapy has gained prominence as a fat reduction treatment, it may also be manipulated to replenish fat in areas such as face and neck. MesoGlow treatments infuse the dermis layer of skin with hyaluronic acid, collagen-stimulating minerals and antioxidants to nourish skin and return it to the radiant, firm, glowing complexions of their youth. MesoLift: Anti-aging technique to help maintain healthy glowing skin and particularly excellent for those fine lines that fillers may not correct. Mesotherapy skin rejuvenation or “Mesolift” infuses your skin with hyaluronic acid (body’s natural filler substance), retinoic acid, potent vitamins, and anti-oxidants to restore the hydrated plumpness and fresh appearance of your skin. The treatment rejuvenates, revitalizes and tightens the skin. Even the physical treatment itself has been shown to promote production of collagen and elastin and stimulate the metabolism. Hair loss therapy is a combination of amino acids (arginine, cysteine, glutamine, glycine, ornithine), Biotin, Vitamin B (B3, B5, B6, B8, B12), and minerals (zinc). This composition allows considerable room for improvement in the structure of the hair, the regulation of sebum secretion, stimulation growth, and halting hair loss. It may also be used as a dandruff treatment by rebuilding and maintaining the protective function of the scalp. HairCare is recommended for patients who have dull, weak, luster-lacking, or escaping hair. Facial skin treatments need to be chosen very carefully because a person’s face is the most visible part of the body. If it gets damaged during treatment, the person has to live with the scars and spots all through his or her life. There are so many skin treatments available for facial dermatological issues. 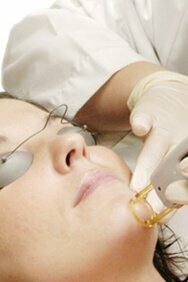 It is a mechanical procedure, which makes use of a micro needling pen containing 12 ultra-fine sterile needles. The needles are simply injected into the skin which leads to formation of small punctures and surface bleeding. The pain experienced is of a very low level because the needles just prick the layers of the skin. In case a person has a very low threshold of bearing pain, he or she can make use of the numbing cream. The small channels created by the needles are like wounds. Just as every wound sets the healing process of the body into motion, these injuries also stimulate the collagen formation process of the skin. The body stops producing more collagen as a person ages. Microneedling face skin is a way of reminding the body to restart the collagen and elastin production process, which then leads to the formation of a new layer of skin which is thicker and smoother than before. Micro needling helps in improving dark spots, surface scarring, fine wrinkles, crow’s feet, acne scars, dark circles and bags under the eyes to give your face a glowing and healthy look. The facial skin becomes firm and smooth giving you a younger look. There is no age limit on looking your best. You should opt for microneedling face skin to give your it the rejuvenation it requires. Both Micropen microneedling pens and Dermapen are designed for skin revitalization, specifically reducing wrinkles and fine lines, stretch marks, acne scars and surgery scars, and more. … Dermapen is more safe and effective when penetrating the skin compared to traditional microneedling rollers.